McDermid is very good at drawing the reader in, isn’t she, Margaret? And this intro is no exception. I’d definitely read on, and I really hope you’ll enjoy this one. I love Val McDermid’s writing. Truly. I haven’t started this series yet, but I’ve certainly read good things about it here and other places. And I love cold case books. I know I have the first book in the series. Need to dig it out. I don’t know the author or series but it sounds like one I’d enjoy. I’ll be adding these to my wishlist. This week I am featuring A Double Life by Flynn Berry. Happy reading! I’m seeing a lot of books today that are not my usual genre but look really interesting. This book is one of them. I’d carry on reading even though I’ve already read this one. 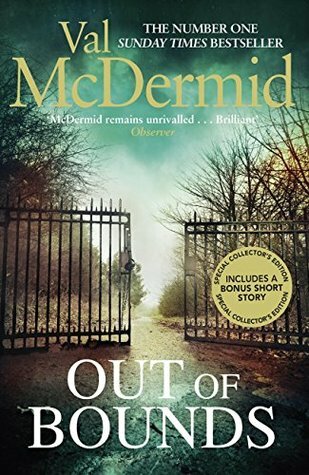 I do admire the way Val McDermid weaves a lot of modern day issues into her books without making the reader feel like they are being lectured at – I do hope you enjoy this one as much as I did. I liked this one more than Skeleton Road, so I think you’ve made the right decision to stick with the series. I’ve managed to snaffle a review copy of Broken Ground but haven’t read it yet, so fingers crossed we both enjoy meeting up with Karen Pirie again! Hi Margaret, OOOH! Another great choice. I really need to catch up with this series! Here is mine: http://bit.ly/BlackChamber I’m late posting today. Haven’t tried this author yet but I see the name a lot. Hope u are enjoying this one.